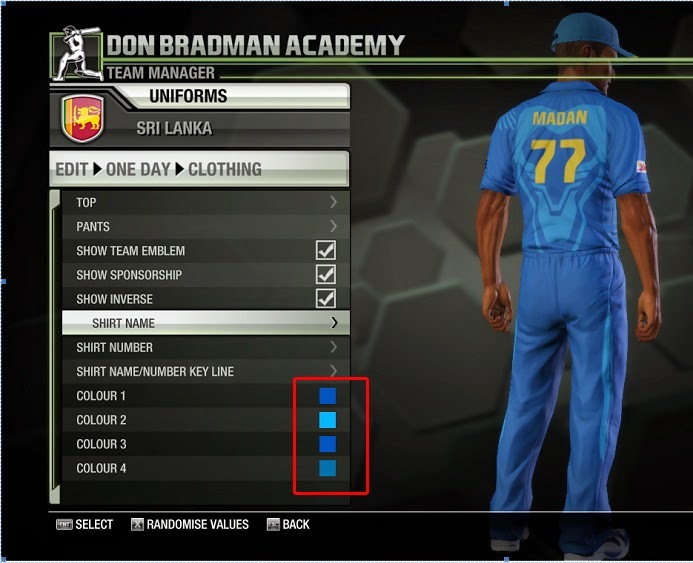 Beautiful Srilanka ODI Kit 2014 for Don Bradman Cricket 14 is here. 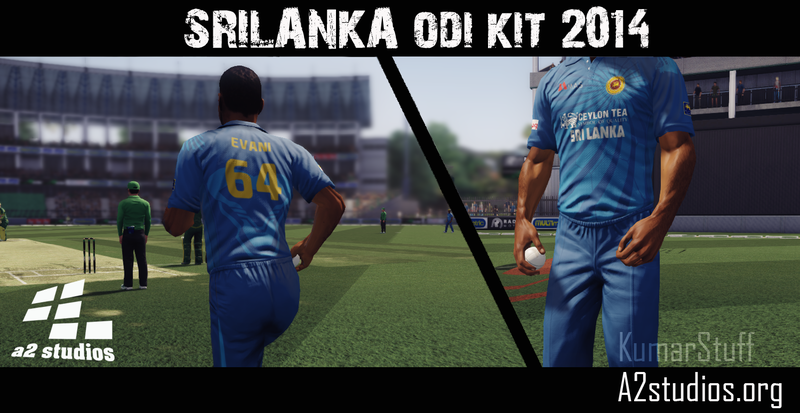 Download this gorgeous looking Srilanka ODI kit Patch for DBC14 now! This is beauty by Shailesh Kumar for DBC 14 is must installation for your new Don Bradman Cricket 14 game. So what are you waiting for? just give it a try. Download link and Installation instructions are given below. Must go through them if you want it to be installed properly! Copy "pattern_19_col" to "\Documents\My Games\Don Bradman Cricket 14\textures\characters\tops\Current_00” Paste it. Copy "pattern_06_col.dds" to "\Users\XXXX\Documents\My Games\Don Bradman Cricket 14\textures\characters\pants\Current_00". "uni_dbfrazier_dark" to "\Users\XXXX\Documents\My Games\Don Bradman Cricket 14\textures\characters\sponsors". f_srila" to "\Users\XXXX\Documents\My Games\Don Bradman Cricket 14\textures\characters\emblems". 7) Select "Identity" and make sure you have the team sponsor set to " dbfrazier_dark ". Set the Top Model to "Current 01" and pattern to 20. Set the Pants Model to "Morden 01" and pattern to 06.